Today we have an amazing interview with Miki Patel who is the founder of Smart Online Fortune. In the interview, she shared her top tips on how to become a mystery shopper and make money from anywhere in the world. Along with being a mystery shopper, Miki is also a freelancer, writer, blogger, author, and web designer. Her desire is to help bloggers and online entrepreneurs create and maintain profitable blogs right from blogging. She has made it her life mission to share those strategies with other bloggers and online entrepreneurs, so they too can achieve financial freedom. Please give us a little background about yourself? How did you get started as a Mystery Shopper? How long have you been a mystery shopper? My name is Miki Patel and I blog over at Smart online fortune. I got started as a Mystery Shopper a few years ago shortly after launching my first blog. I needed a way to pay for my blogging expenses, but I didn’t really want to get a full-time job. I knew from the very beginning that I would rather focus my time and effort on building up my blog rather than working full-time. After doing some research on ways to make extra money, I stumbled upon Mystery Shopping and I’ve been doing it ever since. What exactly is a Mystery Shopper? What do they do? What does a normal day look like? A Mystery Shopper is somebody who is employed to collect and report information about the products/services received by a business. Mystery Shoppers pose as normal customers within stores and file a report after a shop has been successfully completed. A Mystery Shopper self-assigns the shops they want to perform based on their schedule. If a Mystery Shopper wants to perform a shop in the morning or in the afternoon, they can self-assign those shops. Before performing the shop, the Mystery Shopper will read and memorize the instructions assigned for their particular shop. When it’s time to perform the shop, the Mystery Shopper will walk into the store (or wherever the shop is performed) and start following the instructions. The instructions usually involve communicating with an employee of the business they are shopping at. Performing each shop takes about an hour. What type of skill(s) does an individual need if they are interested in becoming a Mystery Shopper? A Mystery Shopper needs to have great observational skills because they’ll be asked to observe a lot of things at the places they choose to shop at, such as the cleanliness of a restaurant or the customer service they received. A mystery shopper also needs to have great writing skills because they’ll be required to fill out a report after each completed shop. How much can a person just starting out as a mystery shopper expect to make per month? How much can they expect to make after one full-year? The amount of money a person can expect to make as a mystery shopper really depends on the number of shops they choose to sign up for and the types of shops they sign up for. Telephone mystery shops pay anywhere from $3-$10/assignment. Bank mystery shops can pay about $25/assignment. Airport and Hotel shops can pay much more than that. Because of my introverted nature, I started off as a telephone mystery shopper so that I could avoid a face-to-face interaction. When I first started, I was making about $90/month. I think the highest I’ve made through mystery shopping was about $300/month. I do this on a very part-time basis, but I have heard of cases where mystery shoppers make around $10,000/year. What do you like best about being a mystery shopper? As a mystery shopper, I love the fact that I get to communicate with other people who aren’t my family members. As a full-time blogger who spends most of her days indoors writing, communicating with the outside world was an aspect that was missing from my life before I discovered mystery shopping. How can individuals find jobs as a mystery shopper online? Individuals can find jobs as a mystery shopper online by simply googling ‘Mystery Shopping Companies’ and signing up to be a mystery shopper for many different companies. Before signing up though, it’s generally good to verify that the company is part of the Independent Mystery Shoppers’ Coalition (IMSC) or the Mystery Shopping Providers Association (MSPA). Companies that have been verified by the IMSC or the MSPA are legitimate companies and not scams, which is definitely something mystery shoppers should watch out for. What is the process after a person finds a mystery shopper job online? After a person finds a mystery shopping company they want to sign up for, they simply go to the company’s website and sign up to be a mystery shopper. 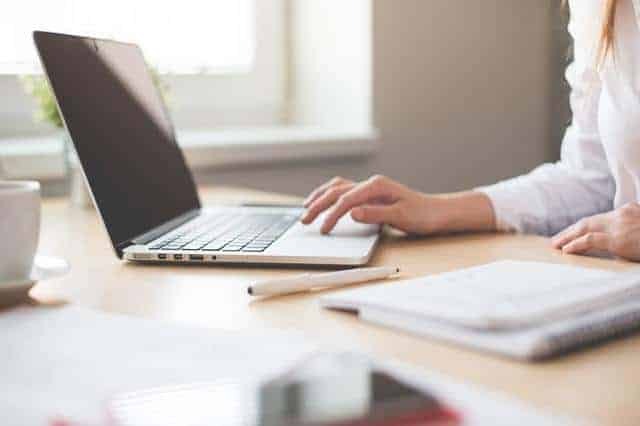 Some companies require filling out an application and will manually approve people if they are in need of mystery shoppers and if they think the applicant is a good fit for their company. After signing up, people can accept any assignments that are currently available in their area. What are your favorite companies to find Mystery shopper jobs? My favorite companies to find mystery shopper jobs are Best Mark and Market Force. What are your go-to resources for beginner mystery shoppers? 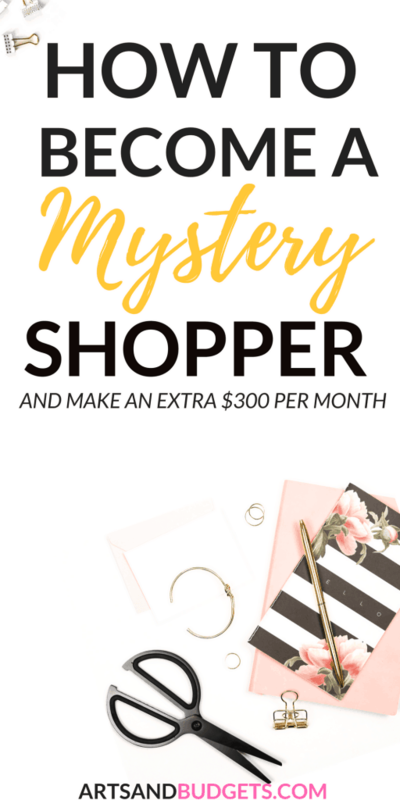 If you’re just starting out as a mystery shopper, I highly recommend reading The Mystery Shopper Training Program eBook by Bethany Mooradian. This book answers every question you may have about mystery shopping. There’s also an in-depth chapter on how to properly write reports after completing a shop. This book also contains more than 100+ legitimate mystery shopping companies to sign up for. The Mystery Shopper Training Program is the only resource you’ll need to get started as a mystery shopper. What advice would you give someone interested in this side hustle who is just starting out? For somebody who is interested in this side hustle, my best advice would be to take it slow. There are hundreds of mystery shopping companies out their, but it doesn’t mean you should sign up for each and every one of them. Just because these companies are out there doesn’t mean they have shops available in your area. Don’t sign up for more work than you can handle because if you fail to report a shop, you risk damaging your shopper score and getting future assignments. Any additional tips you would like to give someone interested in becoming a mystery shopper? Be careful. Mystery Shopping is a great side hustle and there are many legitimate mystery shopping companies out there, but there are also plenty of scams. You should always do your research before signing up to be a Mystery Shopper for any company. It is not uncommon for Mystery Shopping companies to ask for your Social Security Number (SSN) or your Employer Identification Number (EIN). Before you provide any of your personal information, don’t forget to do proper research. I had no idea that this was a thing. I am always looking for ways to make a side income while working my full time job. This is so awesome and so informative. Thanks for sharing! I used to do mystery shopping but fell out of it. I might pick it back up now, especially seeing that it could be used to pay for my blogging expenses! Who knew there were so many options to become a mystery shopper. As someone who’s worked in retail for years, I’ve always wanted to be a mystery shopper. Definitely going to check out that ebook she recommended. This idea is a great option for a lot of busy moms. The key is to find a company that is reputable. Working in retail for years we always were worried about ‘mystery shoppers’. Being one seems really interesting job to do. I’ve heard of mystery shoppers but never knew very much about it. Sounds like a great idea for extra income.